The PANADUR GmbH (www.panadur.de) provides functional coating systems on the basis of Polyurea for surfaces of all types, for example, the “In-Mould Coating” process (IMC) can be used. “In-Mould Coatings” by PANADUR can be easily combined with many methods of form part manufacturing, such as the injection, casting, pressing or foaming. The new generation of PANADUR’s patented coating systems is characterized by its selective functionalization. Specific properties are achieved by a targeted doping with nanoparticles. For this technology underlying, necessary dispersing processes (Top-Down-Processes), the PANADUR uses among others ultrasonic devices of the company Hielscher. By the use of the Hielscher ultrasonic processor UIP1000 nanoparticles on the basis of apatite, silver, silica, and magnetite and carbonnanotubes are created. During these top-down processes aggregates and agglomerates are mechanically cut and then tied in liquids. The desired particle size can be realized by the energy applied. As the result, via appropriate additives, functional surfaces with properties such as antimicrobial, scratch-resistant, electrically conductive, UV-and weather-resistant or fire resistant can be realized. 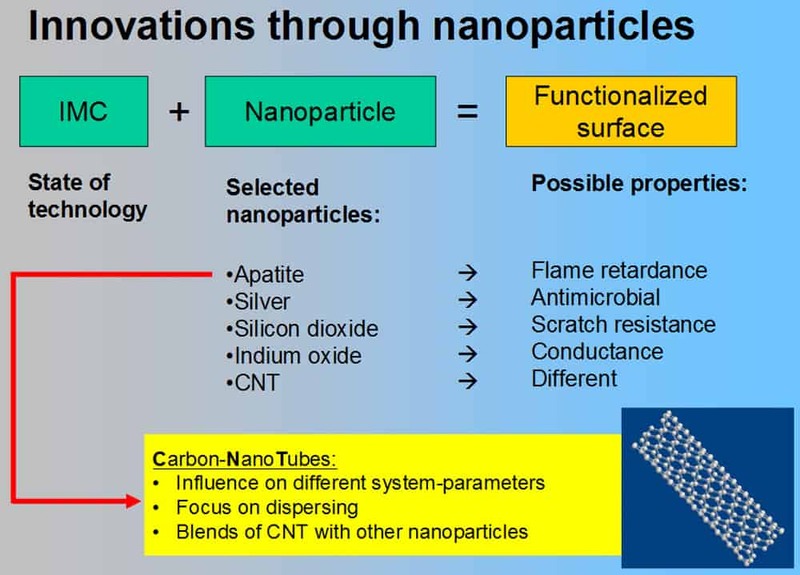 The companies below supply carbonnanotubes at high quality and competitive prices. The following company offers carbonnanotube reinforced composites.